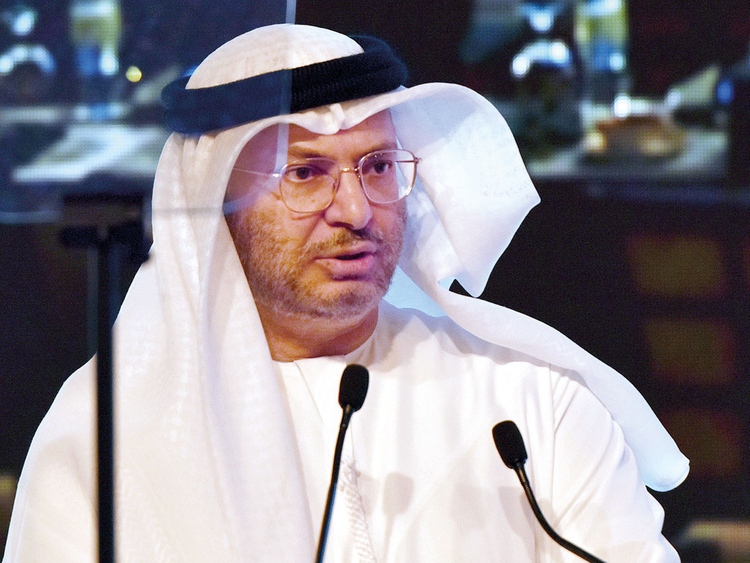 Dubai: The UAE’s Minister of State for Foreign Affairs, Anwar Gargash, has reiterated the importance of the Sweden Agreement—a pact agreed on in December by Yemen’s warring parties. “Before we can discuss other issues, the Sweden Agreement must be implemented,” he said, adding that Al Houthis were trying to circumvent the agreement. “A political solution will not be achieved by the reversal of commitments,” he warned. The Sweden agreement was the first real successful agreement between Yemen’s internationally-recognised government backed by a Saudi-led coalition and the Iran-backed Al Houthi militants. However, the government has accused the militants of being dishonest in their efforts to hand over control of the Hodeida port to neutral parties as agreed on in the pact. They say the ceasefire has been violated 970 times by the militants and have called on the international community to hold them accountable for the breaches. A Saudi-led coalition joined the war in 2015 after an Al Houthi coup unseated Yemen’s legitimate government. Yemeni President Abd Rabbo Mansour Hadi was placed under house arrest but later escaped, setting up temporary government headquarters in the southern city of Aden. Since then, the coalition was able to win back large swathes of territory from the militants, but main population centers remain under Al Houthi control. A lightening offensive by Yemeni forces last year was able to liberate much of the Al Houthi-controlled territory along strategic Red Sea, but stopped just short of the Hodeida port, the main conduit for goods and aid. International pressure was placed on Yemeni forces to pause their assault because of the major humanitarian concerns such a battle would have. However, the government says Al Houthis are using the port to illegally smuggle in weapons from Iran to sustain their military efforts. Nonetheless, government forces agreed to a halt their offensive, but reserved their right to resume it if peace talks fail. Also agreed on during the Sweden talks was a prison-swap deal aimed to build confidence amongst the parties. Talks last week in Jordan “made important progress” according to those privy to details of the meeting. At the end of January, the militia released a captured Saudi soldier while Riyadh set free seven Al Houthi prisoners, but they are the only detainees exchanged under the deal so far.